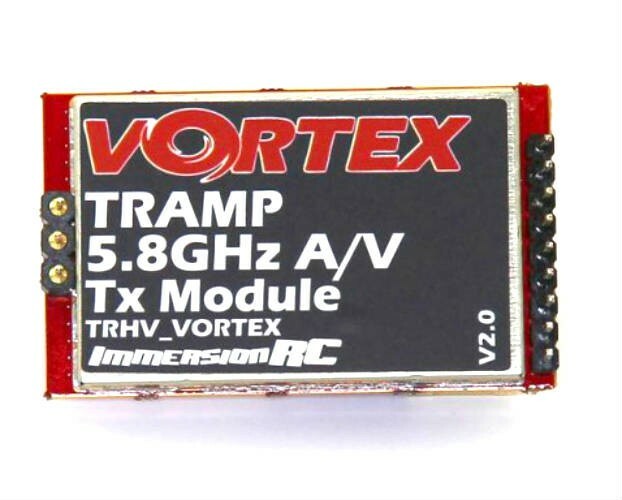 The ImmersionRC Tramp module replaces the video transmitters for the Vortex 250, Vortex 250 Pro, Metall Danny 275 and the Vortex 285 Quadcopters. 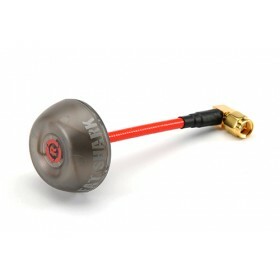 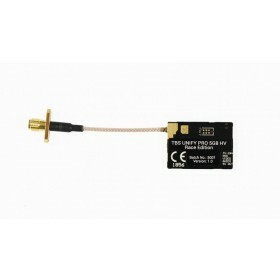 The ImmersionRC Tramp module works on the 5.8 Ghz band and allows the user to select the power output from 2mW to 600mW. 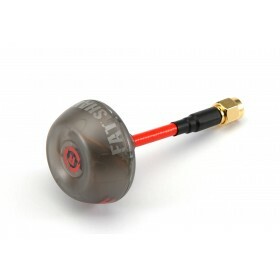 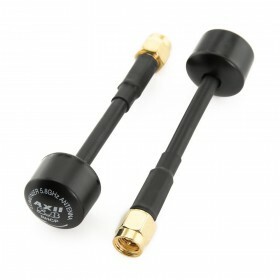 Using this unit allows current ImmersionRC owners to upgrade your vortex to the very latest video transmitter technology. 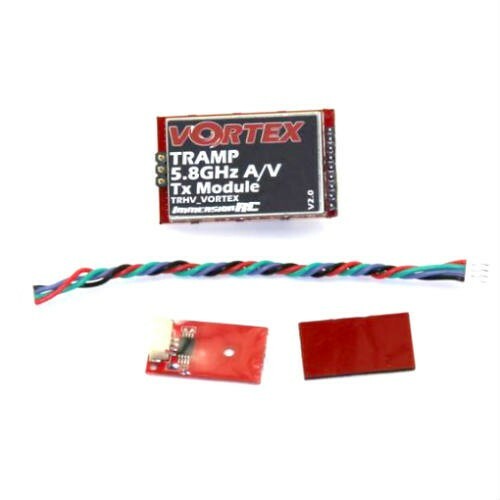 Included with the ImmersionRC Tramp modle is a TNR Tag for installation within the plastic side-plate of the vortex quad. 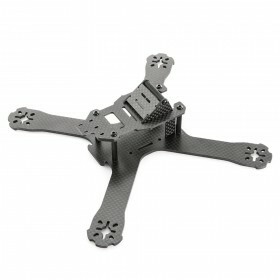 The power output of the ImmersionRC Tramp Module can be adjusted through the flight controller OSD if you are using betaflight.